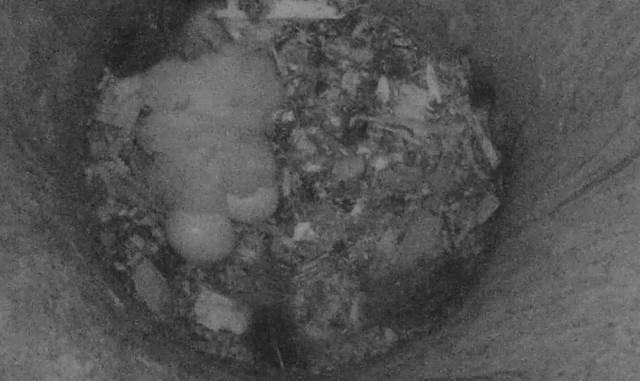 Last year Tiiu laid an egg one day earlier, this year on April 23rd at 19.34. 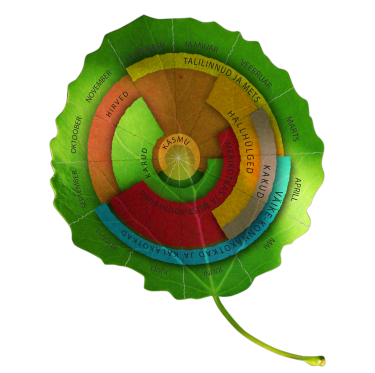 …in this image we also see the egg. There is no answer to the question why. It is surely not carelessness but there is no evident reason. Does the stork feel that bringing up four chicks would turn out to be complicated? Read more about One stork egg uncovered the whole night? 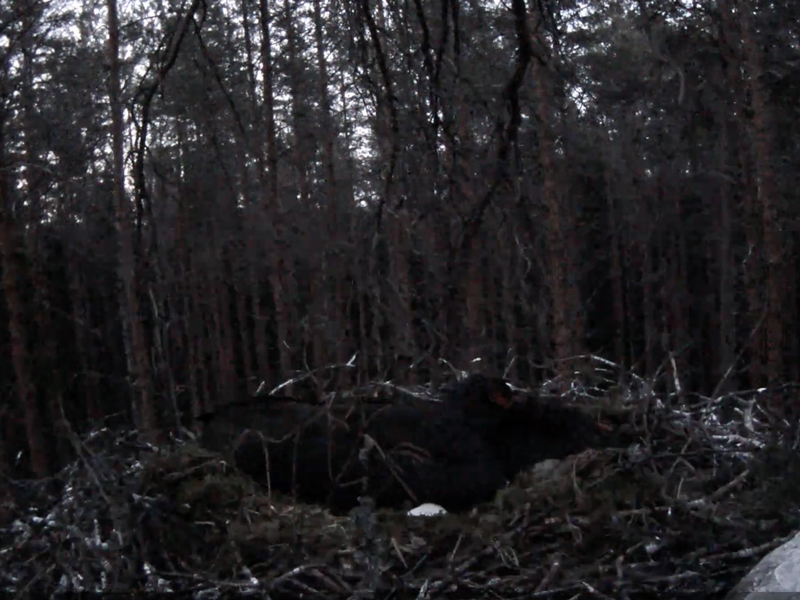 Yesterday evening the female laid the first egg into the nest. This osprey nest has not been used for breeding for some years. We may have to do with a wholly new osprey pair and with a female laying eggs for the first time. In the video we see the osprey pair together. The smaller male flies up from the nest and when he arrives back with a pine branch we also see for a moment the egg of the young female with its multicoloured shell. The guess yesterday evening about a third owl chick on the verge of being hatched turned out to be true . At a quarter to nine Klaara went on her evening flight. 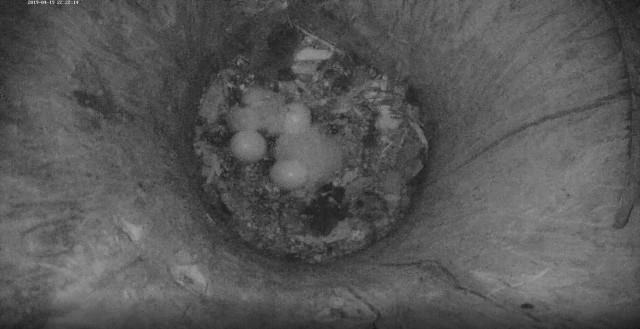 In the nest hollow three owl chicks tumbled around who had hatched on April 18th, 19th and 20th. There is enough work for the parent owls, particularly of course for Klaus in order to keep the family fed. When Klaara was out for a quarter of an hour to stretch her wings we could see the nest interior – yesterday Klaara did not leave the nest.